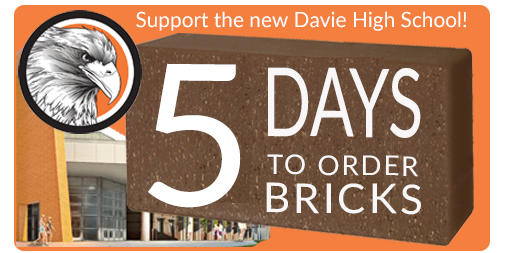 We are excited to open the new Davie County High School in the fall of 2017 and there are only 5 days left to be a part of history! The Brick Fundraiser is a way for our community to support the new school and be a part of history. Funds raised will be used for outdoor furniture for the courtyard, as well as the concession stand/restroom area for baseball and softball fields. Darrin L. Hartness, Ed. D.